The year is winding down, so you have just a short time left to make up for any money-managing slacking you've done in 2013. 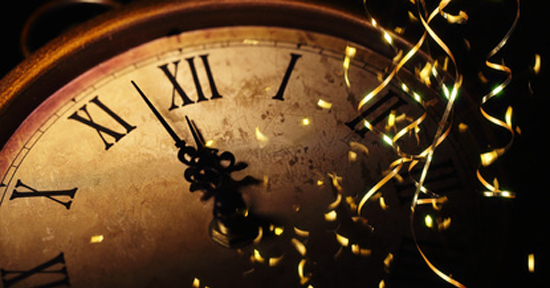 Resolve to be better next year, and set yourself up for a strong financial well-being by taking these five steps before the clock strikes midnight on New Year's Eve. Tax time is right around the corner. Have you been stuffing bills and receipts in a shoe box all year long? Now is the time to organize all that paperwork and make sure you have everything (except your W-2s,) particularly those expenses you can use to get deductions. Paperclip items like health expenses, daycare receipts and mortgage papers together so you’ll have them at tax time. In addition, start asking for any missing receipts now so you won’t have to scramble later. If you’ve been contemplating whether to make any energy-efficient home improvement projects, try to get them done before December 31 to qualify for a possible tax credit. Updates like new energy-efficient windows and new heating and air conditioning systems may all qualify to put more money back in your pocket after you file your taxes. Your receipts or invoices from contractors must have a 2013 date to qualify for this year’s tax return. Another good way to reduce the amount you owe Uncle Sam for this year’s taxes is to make charitable contributions (if you’ve replaced old windows, you could double up on your energy-efficient deduction by also seeing if a local charity may be interested in using them, giving you a receipt in return). Have you held back on giving this year? Go to CharityWatch to find a charity that represents a cause that is important to you. If you don’t have cash to give, see what you have to donate in your house. Go through your closets and pull out any clothes you haven’t worn in a year that would be worth donating. Check your children’s toys to find those they no longer use. It’s a great time to take stock of what we own, what we actually use, and what we’ll likely get for the holidays. Always make sure you get a dated receipt every time you donate. Your employer probably has an FSA program, which lets you put money away tax-free to pay for certain out-of-pocket health care costs and childcare costs. In most cases, the money does not roll over from year to year. If you haven’t already signed up for it, ask your HR department for details on enrollment and decide whether such a program makes sense for you (it’s only useful for those who are organized enough to keep on top of reimbursements). If you are enrolled, take stock of your spending so far and see if you have funds left. Check with your employer's benefits office to see when the FSA spending deadline is; some workplaces give you until mid-March. To ensure you don’t leave money on the table, you may need to stock up at the pharmacy store with glasses, bandages and whatever other necessities that qualify under your plan. The last thing you want to do is end up with your hard-earned money going to waste. While you’re reflecting on the past year, start planning for the future by reviewing your retirement contributions. Can you afford to up the percentage of income that is set aside in your 401(k)? Is at least high enough that you get the full benefit of your employer’s match? Do you have a range of investments, that make sense for your age and how much longer you have before retirement? These are all questions you should ask at least once a year to make sure you are on the right track toward a useable income stream once you’re no longer working full time. These five easy steps can ease your financial management load in 2014 and set you up for a strong future next year and beyond. Leave a comment about End of Year Money Tips: 5 Things to Do Before the End? Share on Facebook "End of Year Money Tips: 5 Things to Do Before the End"